Bush Radio is honoured this week to be visited by Chief Executive of Public Achievement, Paul Smyth and Where is My Public Servant (WIMPS) coach, Stephen Johnston. They are in South Africa for two reasons; to strengthen the relationship with Bush Radio and to attend a research project discussion in Cape Town. 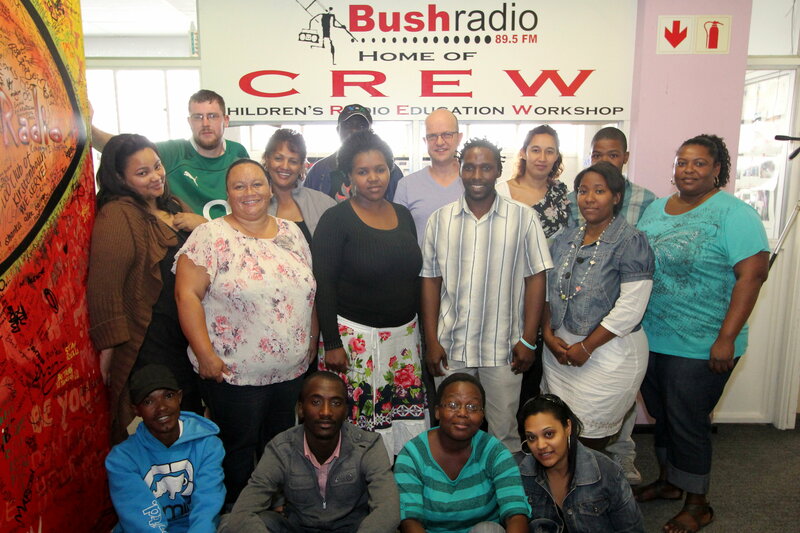 Paul Smyth said that when he visited Bush Radio 12 years ago it challenged and changed the way he views youth work and and was one of the seeds that led to the creation of WIMPS 4 years later. Paul explained that the research project that they are involved in will look at different organisations around the world and how they work with young people in ways that encourage young people to change political systems. Seven organisations are part of the research in SA and they are drawn from Northern Ireland, South Africa and the United States. WIMPS is an organisation that tries to make politics more accessible to young people, it’s about trying to make young people use their voices and make politicians accountable for their actions. Stephen added that the work done by Bush Radio is fantastic and that it is essential to stretch this kind of work to Northern Ireland.